Pick up today or have items shipped to you quick. (2) American made Heavy duty Dexter 12,000 lbs Electric Brake Trailer Axles, fully assembled with springs ready to install. (8) 16" ST235/80R16 10-Ply Radial Trailer Tires mounted on 16" Silver Dual Steel Wheels 8 lug 6.5" bolt pattern 4.75" pilot hole. 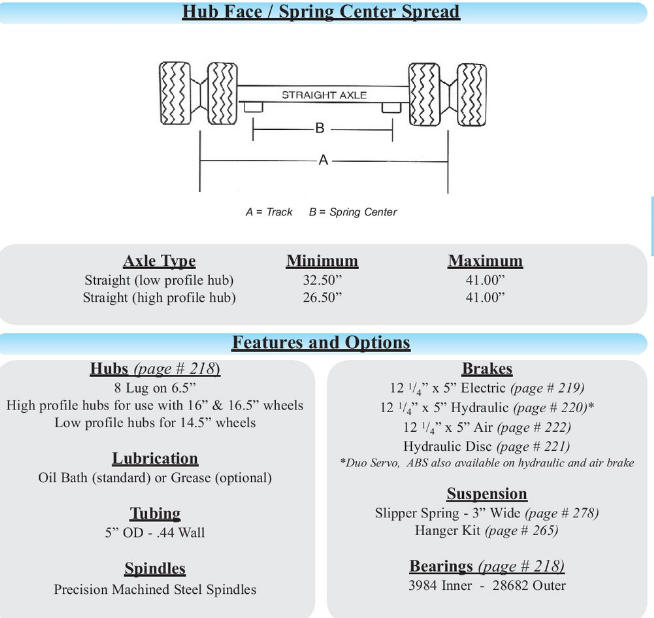 Wheel Size 16" x 6"
Bolt Pattern 8 lug 6.5"
Pick up today at Trailer Parts Unlimited in Huntsville Texas or have items shipped to you 3 - 5 days after paid. If items need to be shipped to a farm, residential address, commercial address without a forklift or loading dock, the freight company charges a fee of $125 dollars extra. Call to schedule a pick up or stop on by our distribution center in Huntsville Texas.